As you all know, 12 people were shot and killed in Paris yesterday at the newspaper Charlie Hebdo. The killed includes four cartoonists who were doing nothing more than making fun of society, which we all have a right to do! Sadly, more and more governments and people are trying to limit the freedom of the press, and the cartoonists that do their jobs. And it’s not just the cartoonists at newspapers. All cartoonists who works for TV shows, movies, online videos, websites, comic books, and more, are facing more and more scrutiny over the work they do. For simple terms, some people are wanting all cartoonists to be “politically correct”, and that is not what the freedom of the press is all about. 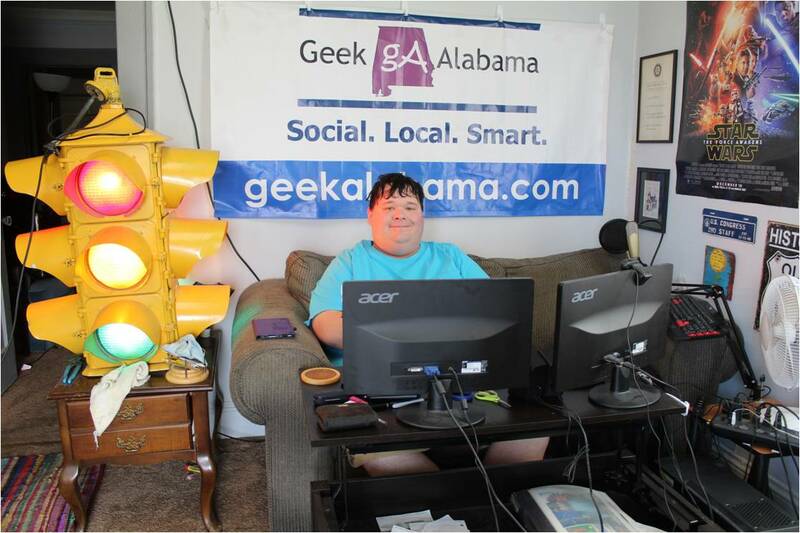 So, since I cover many cartoonists ranging from newspapers, TV shows, movies, comic books, and more here on Geek Alabama. 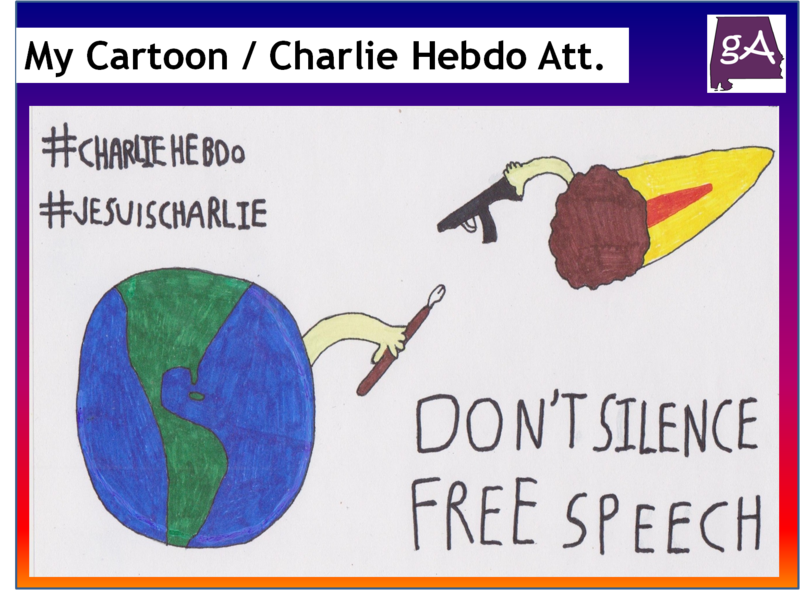 I decided to make my own cartoon depicting the Charlie Hebdo massacre. The cartoon is pretty simple! 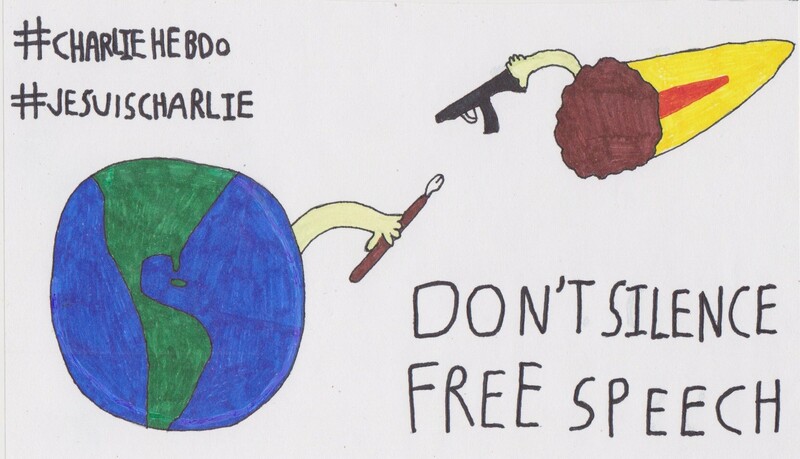 The Earth is filled with many people who wants everyone including cartoonists to keep the freedom of speech intact. But, there are a few people or forces, who wants to shut up the freedom of speech forever. And in the cartoon, the critics are an asteroid carrying a gun, on a collision course to planet Earth. So, here is my cartoon below! And read about my thoughts about the Charlie Hebdo terror attack by clicking here.